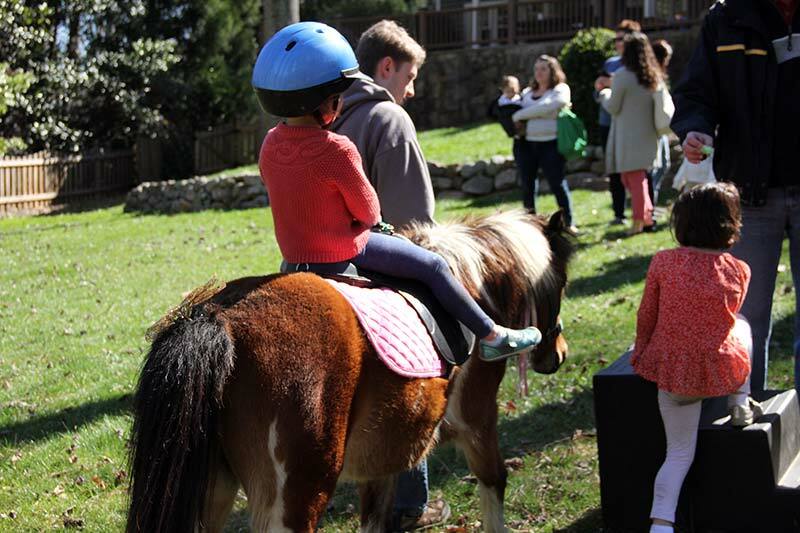 An essay in which I describe the absurdity of planning my 5-year-old's pony party while processing news bomb threats in the Jewish Community. My youngest daughter was about to turn 5 and days before her birthday, I still had no plans. I searched for ideas online, hoping to find something that would be quick and easy to plan, and found a website that offered pony parties. The ponies could even show up dressed as unicorns. My daughter loves everything magical. A unicorn in the front yard would make her wild with joy. Feeling tight on time, I booked a pony party online and made a list of last minute errands for a busy weekend. My 8-year-old son and I were running a 5K for a charity and I was hosting a local congressional candidate at my home for a “meet and greet” with the neighbors. My daughter’s birthday party was sandwiched in between and I was on edge about making it all work. “Just a friendly reminder about your show. Feel free to reach out if you have any questions..” I re-read it. What show? Could this be someone from the neighborhood? We were in the middle of a contentious congressional race getting nationwide attention. When I emailed those “meet and greet” invitations to my neighbors, I received several notes saying, “We are conservative and would never vote for a Democratic candidate.” The exchanges were all cordial, but could this be a text from an excited neighbor or, worse, an offended one? Or it could just be about the ponies. “Is this about the ponies?” I asked. At this point, I panicked. What if this was someone “phishing” for information, or worse? The previous night, my husband and I had huddled in the kitchen as he told me, in a hushed voice so the kids wouldn’t hear, about the new security procedures at Jewish community centers, filling me in on a conversation he had with a rabbi in Florida whose synagogue received a bomb threat the day before. I picked up the phone and called the number in the text message. It rang for a long time and a young woman answered. “Can you tell me what company you are calling from?” I asked, biting my lip. “I just started working for them last week. My job is to text people to confirm their shows.” She sounded confused. “You keep calling it a show, but it’s a pony ride!” I could feel my cheeks starting to burn. My panic had subsided, but my confidence about the pony party was waning, and I asked her to have someone call me.” I could feel her eyes roll as she hung up the phone. Soon I was distracted. My kids had to be picked up from school and I held their sweaty hands as we walked home and chatted about their day. The next day, my phone rang and the man on the other line introduced himself as the owner of the pony company. “One of my assistants tells me that you are an unhappy customer,” he sounded annoyed. “I hire college kids to confirm my company shows because people always get worried that we won’t show up,” he was speaking slowly to diffuse the situation. “It sounds like this isn’t going to work,” he said. He was about to cancel the whole thing. I started biting my lip again. The last thing I wanted was to lose the only party plan I had, just 2 days before my daughter’s birthday. “I am sure I am not the first parent to have asked about this,” my voice was starting to crack and I felt my hand snaking its way around my neck and throat to hold it together. I was holding on to the frame of my front door. Tears began running down my face. “Do you want to know why I am in a panic? Do you want to know, human to human?” It felt absurd to ask a complete stranger to listen to me in this way, but I also had nothing to lose. “You think I am unhinged, don’t you?” words kept tumbling out. “I am Jewish,” I said definitively. “My children go to Jewish schools every day. In the last two weeks, there were 100 bomb threats against my community, mostly delivered by phone.” I closed my eyes and waited. The man on the phone was listening. I felt relieved and ridiculous. I had just exposed the most twisted knots of my being to a stranger, and to my surprise, he understood. In the end, the pony party was uneventful. My daughter and her friends took great pleasure in riding ponies/unicorns.